The IRS recently notified taxpayers with undisclosed offshore accounts that they only have until September 28th to take advantage of the agency’s Offshore Voluntary Disclosure Program (OVDP). Initially launched in 2009, this program is estimated to have helped nearly 56,000 taxpayers comply with U.S. tax law by assisting them when it comes to paying back taxes, interest, and penalties. 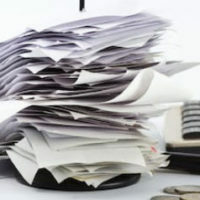 Even after the program closes, the IRS states that it will continue to hold taxpayers with undisclosed offshore accounts responsible for lapses in payment or reporting, so if you have questions about your own disclosure responsibilities, it is important to contact an experienced tax and IRS attorney who can help you avoid fines and penalties. The OVDP was a program introduced by the IRS in 2009 that was designed to help certain taxpayers resolve their tax debt and minimize their chances of civil and criminal prosecution by giving them a forum, in which they could come forward with information about their undisclosed offshore assets or accounts. As long as a taxpayer truthfully and completely adhered to the program’s requirements, the IRS wouldn’t pursue criminal prosecution for issues related to tax non-compliance. Compliant taxpayers would also be assessed a much lower civil fine. Identifying information for all of the foreign or domestic entities through which the assets were held, including trusts. Once approved, an applicant has 45 days to make a voluntary disclosure of all offshore assets. Unfortunately, taxpayers who receive pre-clearance are not always accepted into the program. Taxpayers who fail to disclose their offshore income or assets face not only fines, but also potential criminal charges, such as tax evasion, conspiracy to defraud the U.S. government, and failing to file or filing a false tax return. All of these offenses come with stiff penalties, including a prison sentence of up to ten years and fines totaling half a million dollars, making it especially important for those with offshore holdings to speak with an attorney as soon as possible about their reporting obligations. Despite the OVDP’s closure, the IRS states that it will continue to combat offshore tax evasion by using civil examination, criminal prosecution, and whistleblower leads. For help applying for the OVDP or for assistance with filing an amended or delinquent tax return for previously undisclosed foreign assets, please contact dedicated tax Florida attorney Ronald Cutler, P.A. A member of our legal team can be reached seven days a week by calling 386-490-9949, or by completing one of our brief online contact forms. Initial one-on-one case evaluations are conducted free of charge, so please don’t hesitate to call or contact us online.